A rather long Easter posting today on an issue many may have overlooked. Australian companies are not allowed to give bribes here. They are also held to the same standards when operating in other countries. We feel that companies have as much obligation not to encourage corruption in any country, not just Australia. The Royal Commission is to investigate institutional responses of Australian organisations. The Terms of reference, although they do not specifically say so, tend to be interpreted as applying only to Australian children. If the analogy with businesses is accepted, especially since many Churches operate as businesses, then anything Australian staff do to children in other countries should also be examined. An example arose just last week in Cambodia. An orphanage in Siem Reip province, belonging to a Christian charity group called Love in Action (LIA), which is based in Queensland, Australia, was raided by officials from the Interior Ministry, Ministry of Social Affairs and Anti-Trafficking police. The unregistered facility was shut down on the basis of child abuse and trafficking. The facilities founder and operator was Ruth Golders (pictured above) of Queensland’s sunshine coast, who denied all charges. Authorities were alerted when five children escaped from the orphanage on February 26 and complained of dire living conditions and violence. Seven more children escaped with similar stories on March 14. They discovered that some children were visibly ill and not taken to a doctor, the facility was dirty and sewage was blocked. Interviews with the 33 rescued children revealed many instances of physical abuse from the staff. According to local sources, most, if not all children, did in fact have one or more parent. The stated mission of Love in Action is to “show the people of Cambodia what caring & love really means”. According to local reports, Ms. Golders runs two orphanages and a nursery in the Cambodian capital. On the same day, in the same district, officials charged Morn Savuth, director of the Angkor Orphan and Education Organization with sexual abuse of two girls. They had been alerted by reports that the girls had been taken to his bedroom every night. Nou Puthyk, Siem Reap provincial coordinator for Licadho, said the girls did not tell anyone because they feared they would be forced to leave the orphanage. The organisation states on its website that it promotes “life skills and morality”. Its slogan is “Love is Life, Just Love”. Of course, the problem is not limited to Cambodia. In 2011, police raided the Prem Nuwasa orphanage in Sri Lanka, operated by the Catholic Church, on suspicion of abuses and child trafficking. The Chairperson of the National Child Protection Authority accompanied police on the raid. The facility was run by the Sisters of the Missionary of Charity, who denied all allegations. In scenes reminiscent of the forced adoptions era in Australia, authorities found 20 pregnant women, 12 new mothers and 75 children living at the facility. 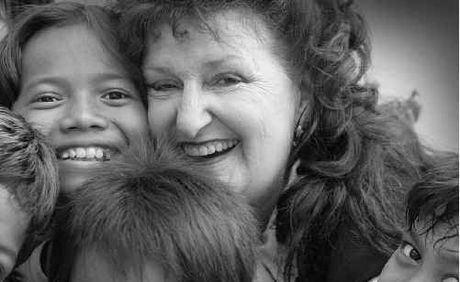 The organisations which fund and operate these “orphanages” are not the only ones that should come to the attention of Royal Commission investigators. There are also the organisations which send volunteers to these facilities, usually without any form of background check. The facilities are even part of the tourism sector, known as “voluntourism”, where people can pay about $3,000 per month to stay at an orphanage. Of the fee, the orphanage receives about $9. Other tourism operators conduct tours of orphanages, where the children perform local dance numbers. SISHA (South East Asia Investigations into Social and Humanitarian Activities) is a registered Australian not-for-profit organisation that strives to ensure justice and the protection of human rights for victims of human trafficking, bonded labour, physical and sexual assault and other forms of exploitation and oppression in South East Asia. SISHA is a non-religious, non-partisan and non-governmental organisation. It was involved in the raid on the Love in Action facility and has been very active in the field in general. It is hoped that, if organisations such as SISHA want to present their evidence to the Royal Commission they have no barriers placed before them by people involved with these overseas “orphanages”. If they do experience problems, it would also be expected that they will receive unqualified support by other victims support and children’s protection organisations.